Walking down East London’s Bethnal Green Road this morning, I find it hard to think of much else than the acid attack that took place just around the corner on Monday evening. For the reward of petty theft, two men were attacked with acid and left with life altering injuries. This was the latest in a surge of acid assaults suddenly placing the UK, and London especially, as one of the world’s highest in noxious-substance crime, with a 65% rise from 450 incidents in 2016. There’s much to be said around this visceral trend in crime; much to be questioned at that too. The first that comes to mind is how injuries caused by corrosive substances are so swiftly flagged as “non life-threatening” when the physical disfiguration, as well as the psychological impact can hardly be argued as other than life-threatening. Quickly following is how to crack down on a weapon that essentially can be carried legally until it is used otherwise. And just behind on the list is a slightly more sociological and perhaps less answerable question; why the rise in this particularly violent, vicious crime and what can that tell of the ubiquitous hatred that surrounds us? Acid attacks have unfortunately been around for much longer than they’ve made headway in the British press. Their prominence is often linked to domestic violence in more patriarchal societies, and it is very present in countries such as India, Nepal, Bangladesh, Cambodia and Uganda, with Pakistan most widely reported for its attacks. 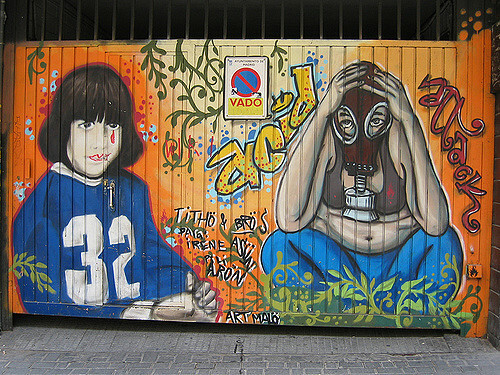 Colombia however, where acid assaults are equally rife, recently succeeded in reducing its numbers by imposing a 12 to 50 year sentence for the crime. In the case of the UK, a connection could be drawn between the rise of this abominable crime and the lack of legislation holding acid attacks in the high ranking punishment it deserves. Instead, it is currently merely regarded as Grievous Bodily Harm (GBH) or Actual Bodily Harm (ABH), which are both, at worst, only carrying a maximum sentence of 5 years imprisonment. In contrast to the often close social circle attackers seen in other countries, the nature of acid attacks in the UK differs from the largely misogynistic agenda it promotes elsewhere; Men have attacked other men and at random. In a society that cherishes individuality, these are attacks on precisely that, altering the victim’s identity indefinitely. “In a culture of choice, all choices are removed. The attacker is supreme” writes journalist Deborah Orr, and it’s the unimaginable absence of empathy enacted with this crime that makes it tragically fitting in our world today.